Great news! We’ve extended the early bird discount for Checkpoint 2014 through the end of June. Now you have more time to save $100 per person on registration. So don’t delay, register before the savings run out! We are so excited for all of the new things in store for our users at this year’s event. We’re offering twice as many training classes than ever before that will allow you to take your MC skills to the next level. Anyone using Maintenance Connection on a daily basis will not want to miss this important annual event. Join Hundreds of Other MC Users October 13 – 16, 2014 in Sunny Orlando, FL at the Wyndham Grand Orlando Resort. 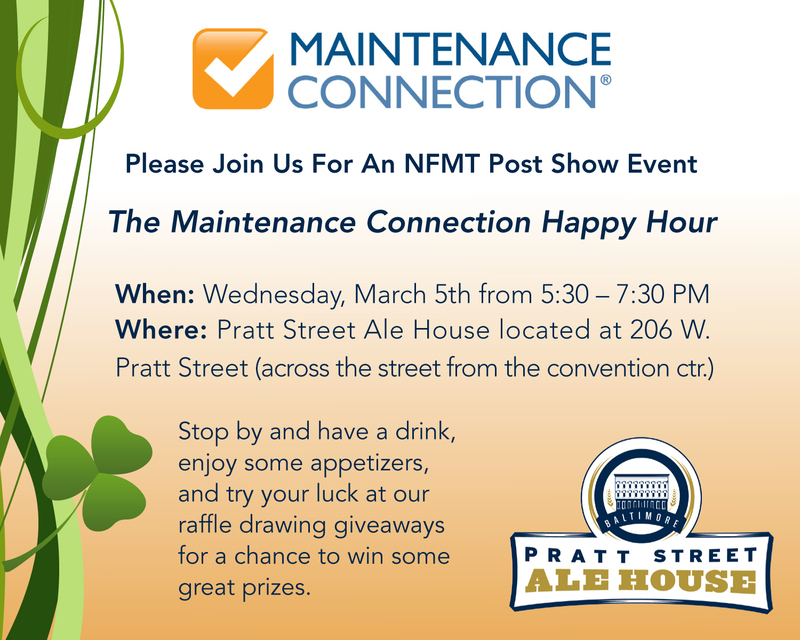 NFMT Baltimore is next week and Maintenance Connection will be there. Be sure to stop by the Maintenance Connection booth, #1708 in the expo hall to say hello and learn what’s new. Also get your ticket to our Customer Appreciation Happy Hour that you won’t want to miss. 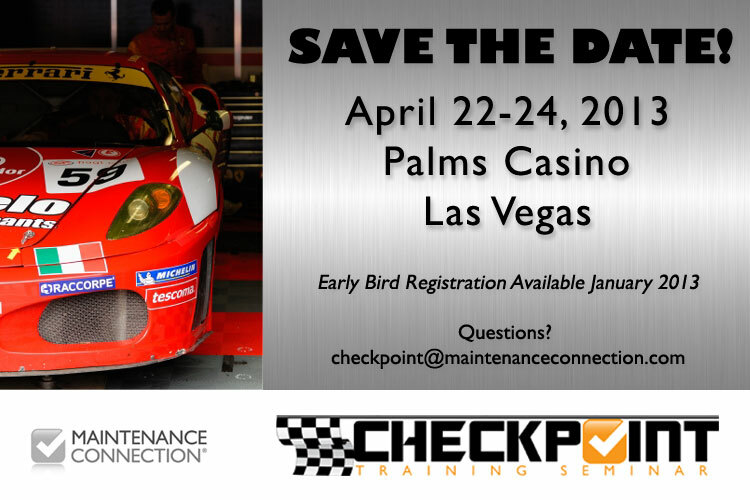 We hope you saw our “Save the Date” earlier this month for Maintenance Connection’s annual user training conference – Checkpoint 2014, taking place October 13 – 16. We’re excited about our new location in Orlando, FL at the Wyndham Grand Orlando Resort. Anyone who has survived some freezing winter temps this season will surely appreciate some warm Florida sun this year. In addition to taking advantage of all new class structures and educational components at this year’s event, fun times will be had by all at the “extra curricular” activities we have in store! Check out some footage from last year’s Checkpoint in Las Vegas to see for yourself what a good time your fellow users had. Mark your calendars now for October 13 – 16, 2014. Registration will be available in April. Check in at www.maintenanceconnection.com/checkpoint for the more information. Another attendance record was set this year at Checkpoint 2013 at the Palms Casino in Las Vegas. Hundreds of customers joined our staff for a week of learning and connecting, and everyone left with a full tank. Check out this highlight video that was created from the first couple days of the event.